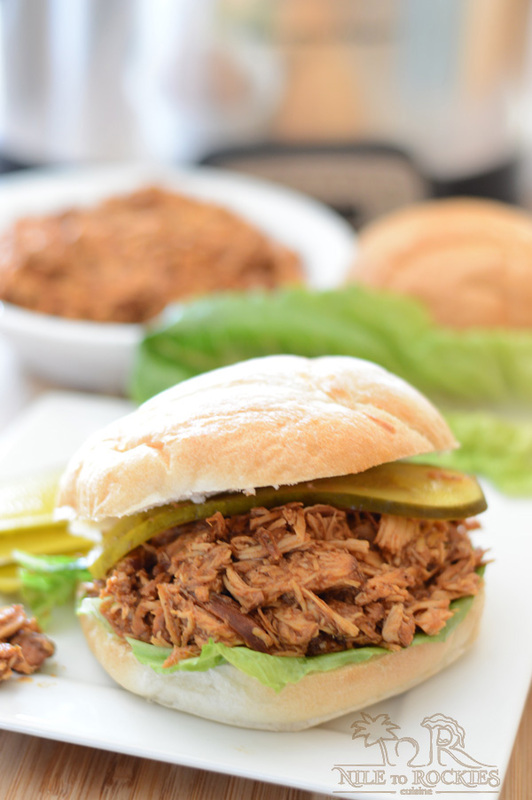 An easy and quick to prepare BBQ pulled chicken sandwiches recipe for your next party, throw everything in the slow cooker and let it do its magic. You’ll end up with very tender shredded chicken that everyone will love. 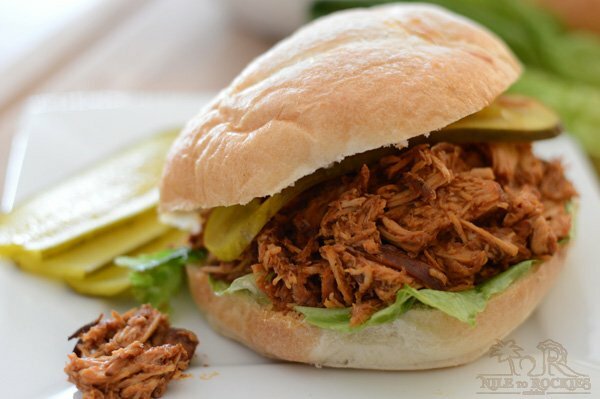 I’ve heard a lot about barbecue pulled pork and how tender it is, so I thought why not make it with our favorite white meat- which is chicken of course. To my surprise I was not the first one thinking of this  , after googling it I found many recipes most of them are so easy to make but has brown sugar. 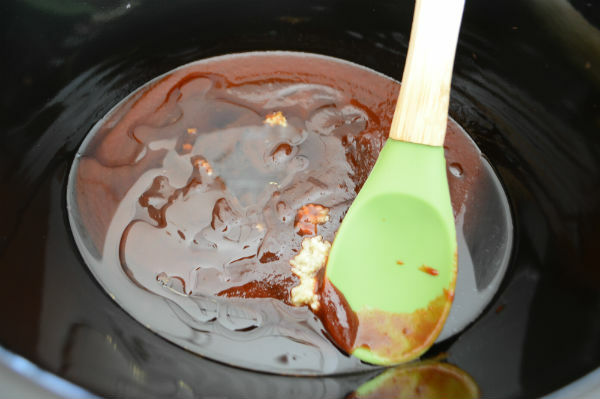 I was really surprised why people add more sugar to this recipe, I mean the barbecue sauce seems to have enough sugar already, so I felt that it would be too sweet for us to add extra sugar specially when we are trying our best to cut back on sugars. Some people add onions and others don’t, some people add diced bell pepper as well, so I’ve decided to start with my bbq chicken recipe as a base for this recipe and go from there. 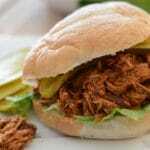 You’ll need a handful of ingredients that are mostly sitting there in your pantry or fridge, put them together in the slow cooker – no marination is required this time- set it and forget it. 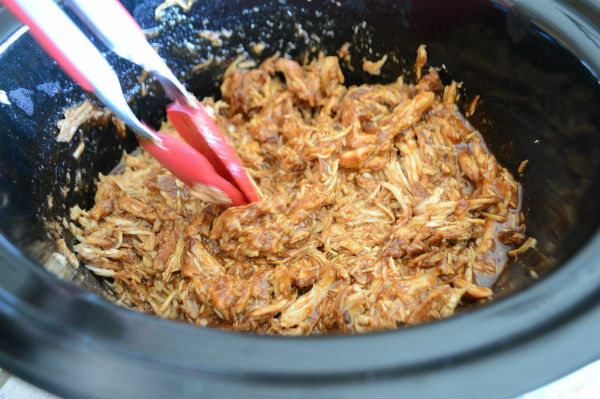 I’m beginning to fall in love with my slow cooker – very late I know. I do not know why I had this love-hate relationship with it, I felt it makes every dish soggy and watery , so I hated the texture of the food coming out of it unless it should contain some liquids. But I guess that was in the past now as I am starting to know what works for us more. 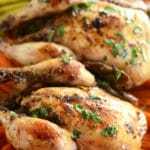 I’ve served this chicken to my little family and my in laws as they are staying with us these days, and let me tell you all of them loved it my little ones and my father and mother in law as it was easy to chew on for both of these age categories  . 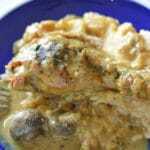 I hope you’ll like this easy and quick chicken recipe may be try it this weekend. Enjoy your labor day party. 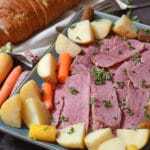 A great recipe for your next party, easy, tender and delicious. 2 large garlic cloves minced. 3 lbs chicken breasts cleaned and fat trimmed. Add all the ingredients together in your slow cooker and mix well. Add the chicken pieces and cover well with the sauce. 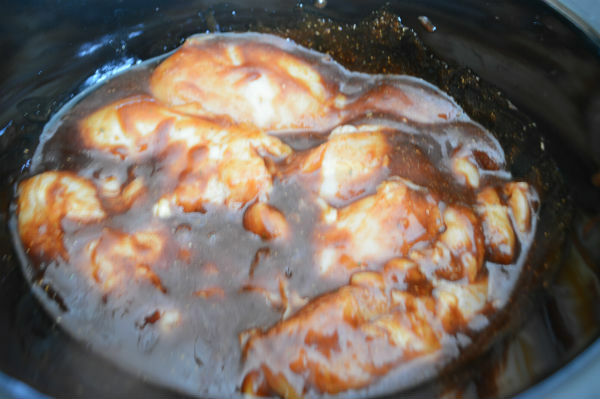 Set your slow cooker for high and cook for 3-4 hours until chicken literally fall apart. 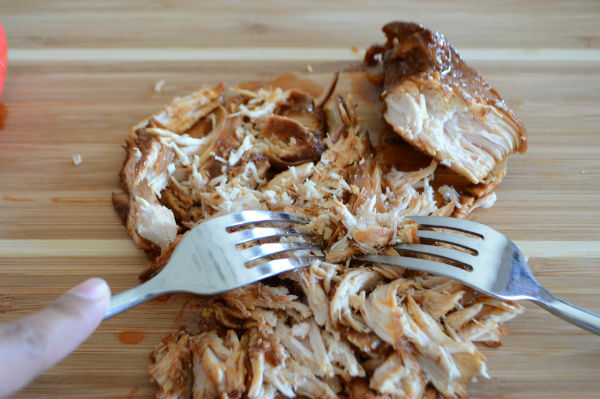 Take the chicken out and shred with two forks. 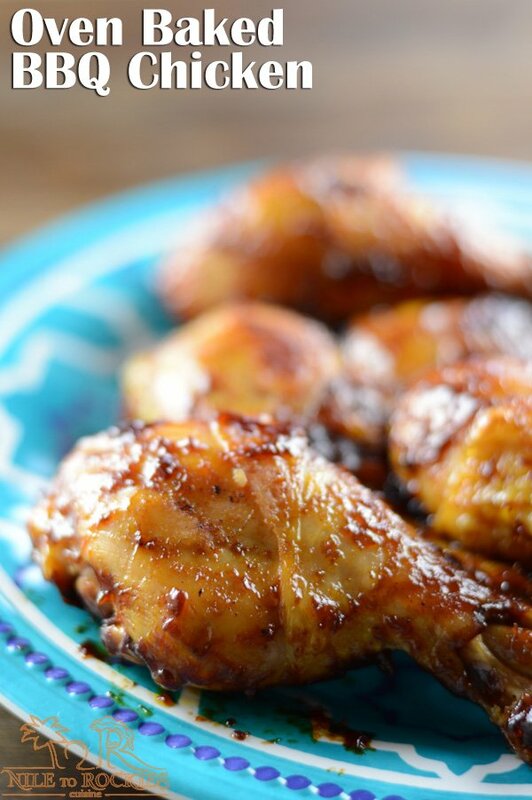 Return the chicken to the slow cooker and mix well with the sauce. Leave it there to soak the sauce for 30 minutes to an hour. 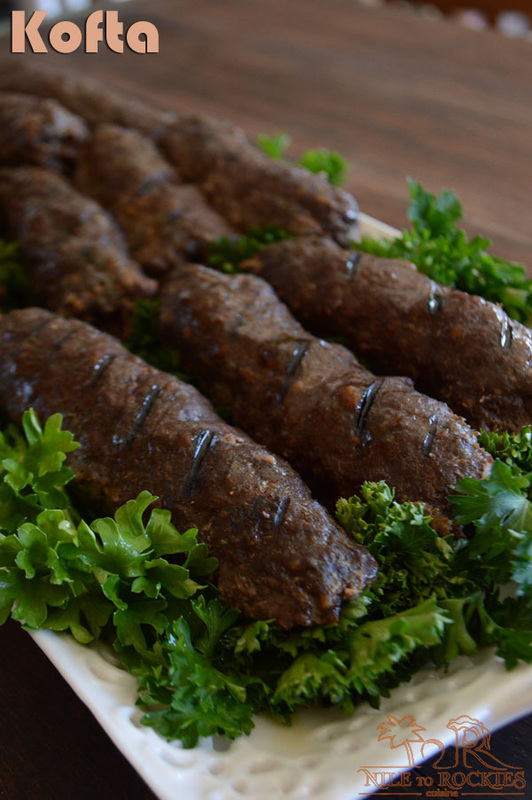 Serve hot with your favorite bun with pickles and green salad. * Feel free to add more if you want to. ** I've used chicken seasonings that I bought from Costco. 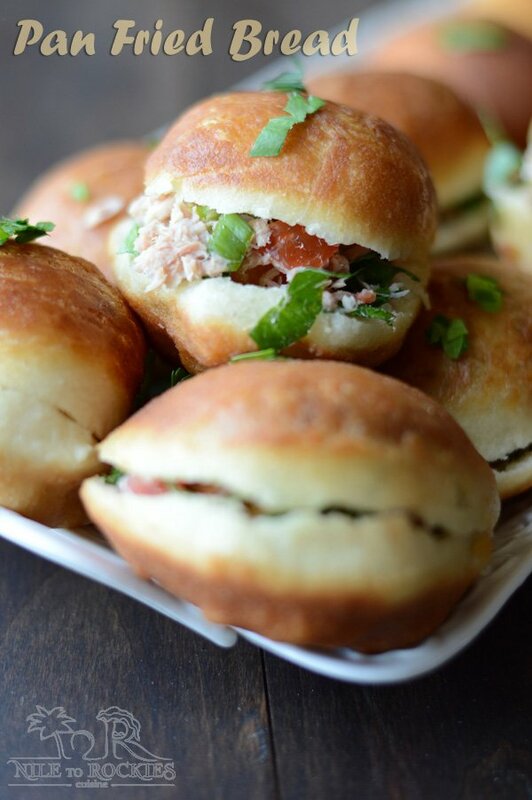 Need more party favorites, check out our appetizers page. Here are some other suggestions? Love my slow cooker in cooller months, and you are right it takes a while to figure good recipes or how to adapt. 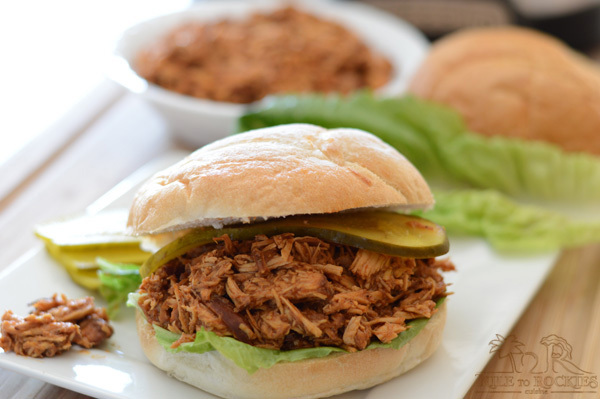 A big success here with your pulled chicken. Less sugar is better! Loving your sauce…loads of flavors for the perfect sandwich. I still need to get myself a slow cooker for recipes just like yours. Wishing you a super holiday. 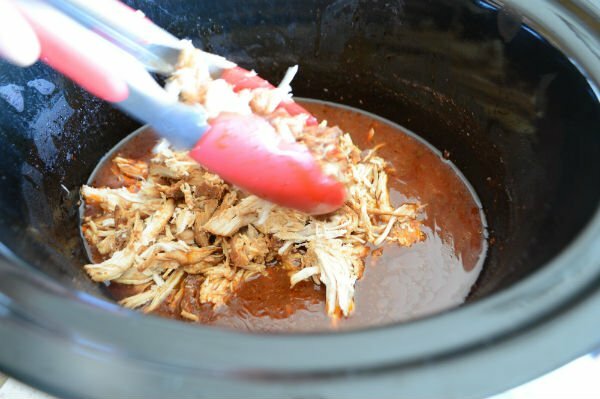 I just bought a slow cooker and I’m looking for yummy recipes… sure this is one of them! Do you have a recipe for BBQ sauce? I live in Holland and here we don’t have it. and from the reviews I can see lots of people liking it although I think the sugar is too much – or may be it is just me!!. This looks and sounds delicious Amira and perfect for this weather we are having at the moment! Yes it works both ways Joanne 🙂 fall and spring seasons. Thank for stopping by dear. 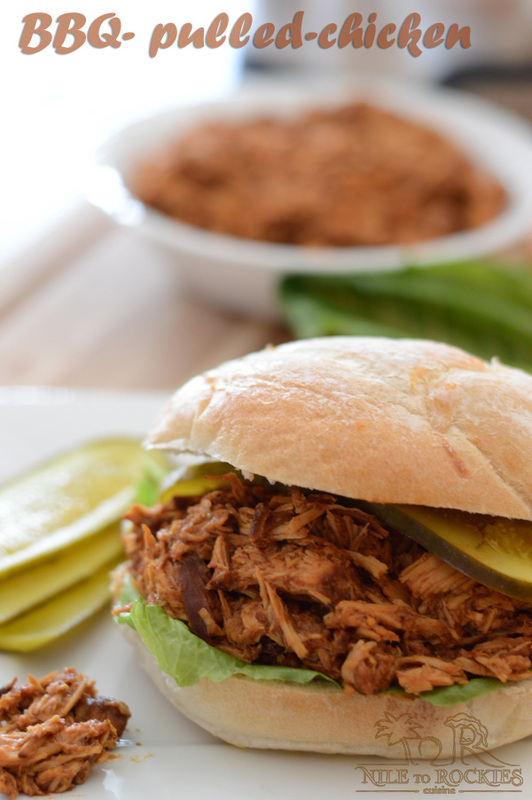 Your pulled chicken sandwiches sound terrific. I sold my slow cooker when we moved as it was an older model and haven’t as yet replaced it. It is recipes like this that will motive me into buying a new one. I ALWAYS sell mine when I move, and I moved a lot 7 times so far, and I also ALWAYS buy another one after moving :). Mine are barely used each time, but this time I am starting to love it and you will see more of it in this space. Thanks for stopping by.